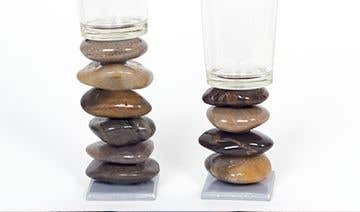 Make these candlesticks out of stones and pebbles to create a unique and natural decoration for your home. Cut a small square of white felt, slightly smaller than the size of one of the ceramic tile magnets. Then stick this to the bottom of the tile with the glue gun. This will prevent the tile from scratching the surface it is standing on. Mix the black and white porcelain paints together to create a shade of grey. Use this paint to paint the top and sides of the ceramic tile. Leave to dry. Once the paint has dried, add a blob of glue to the centre of the tile about the size of a pea. Push one of the stones onto the tile and hold in place until the glue has dried. 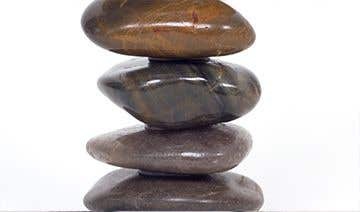 Add another blob of glue to the top of this stone, then push another stone on top of this. Repeat this until you have reached your desired height. 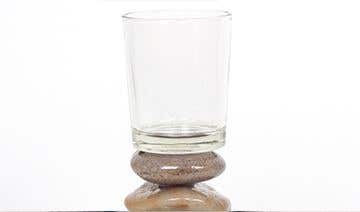 Put another blob of glue onto the top stone, then place a glass candle holder on top and hold straight until the glue is completely dry. 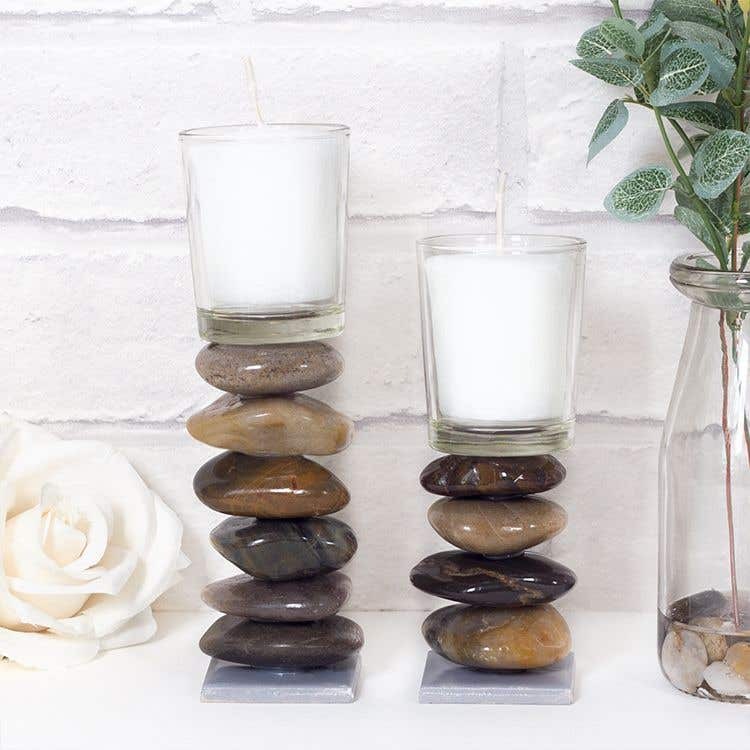 Try to use flatter stones with a smoother surface to help the candlesticks to stand straight.